UPDATED: Thu., March 8, 2018, 7:28 p.m.
Steelworkers’ Wednesday night vote against the use of binding arbitration to end a strike at the Lucky Friday Mine hinged on workers’ fears about potential changes to pay and a long-established job bidding system. “There were concerns the arbitrators could impose a contract … our members would find untenable,” said Tony Montana, a spokesman for the United Steelworkers in Pittsburgh. 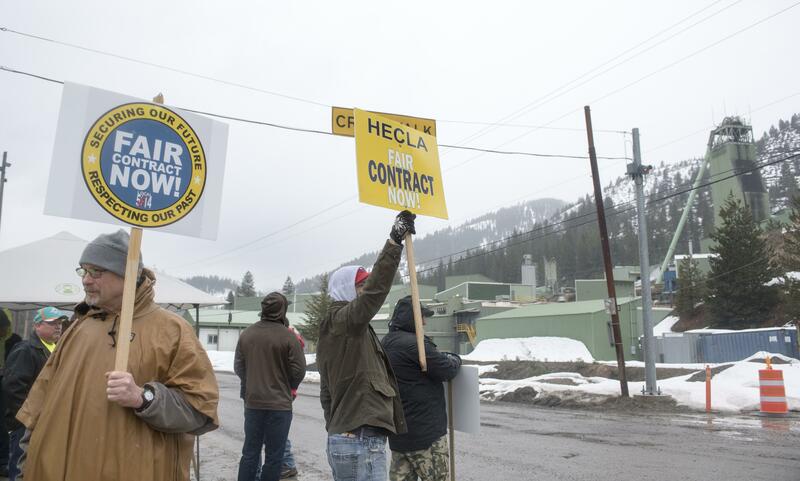 About 230 miners at the underground silver mine near Mullan, Idaho, have been on strike since March 13, after months of negotiations failed to produce a new contract. The ability of the Lucky Friday’s lead miners to pick their crews is a point of contention between union and management. Steelworkers say the close-knit teams are the safest way to mine, and that they’ve broken production records with the system. Steelworkers also said the contract proposed by Hecla Mining Co. also allows management to control which miners advance and at what pace. Hecla, which owns the Lucky Friday, has said management needs more flexibility in scheduling miners to reduce production costs at the mine. Steelworkers are planning a noon rally March 17 in Mullan to commemorate the anniversary of the strike. No meetings with the Hecla management team are scheduled at this point, Steelworkers said. Hecla will evaluate its next steps and continue limited mining at the Lucky Friday with salaried workers, company officials said. Published: March 8, 2018, 7:21 p.m. Updated: March 8, 2018, 7:28 p.m.